BLANKIT® Interior Acrylic Primer/Finish is an excellent, extremely versatile, interior, stain blocking, high hiding, waterborne acrylic primer and primer/finish. It is used to prime properly prepared unpainted or painted drywall, plaster, wood, and incidental primed metal surfaces. 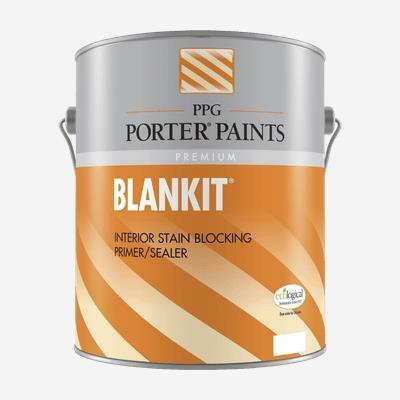 Use BLANKIT® Interior Acrylic Primer/Finish to prime ceilings, walls and woodwork in one pass; as a finish, particularly for ceilings, closets, storerooms, garages, etc. ; to help hide drywall nailheads and tape joints under quality high sheen flat wall paints; to bridge between oil paints and varnishes and latex paint systems; as a drywall sealer under wall coverings; as a stain blocking primer over many household stains and marks.